Imagine staying in a hotel suite the size of a penthouse flat, wouldn't that be dreamy? Dreamy and certainly unexpected that's for sure! 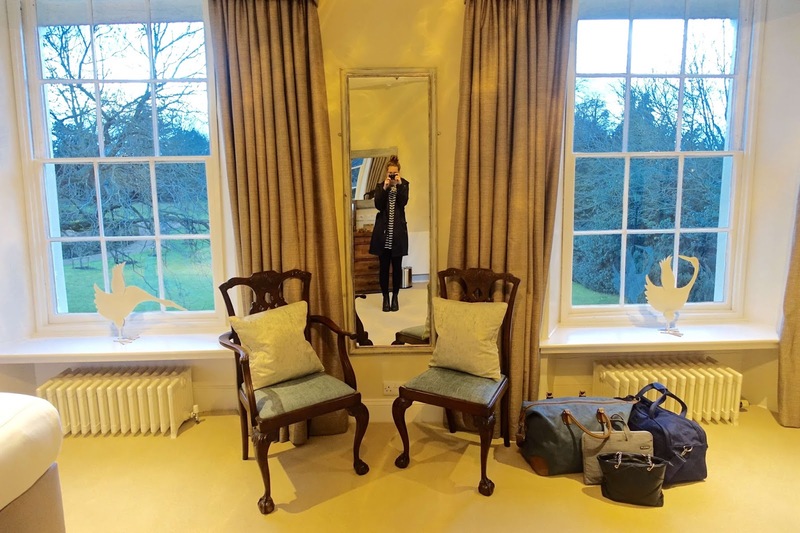 I was recently invited back to one of my favourite places in the country, the beautiful Oxfordshire, to Sudbury House Hotel, a four-star hotel nestled on the edge of the Cotswolds between Oxford and Swindon. 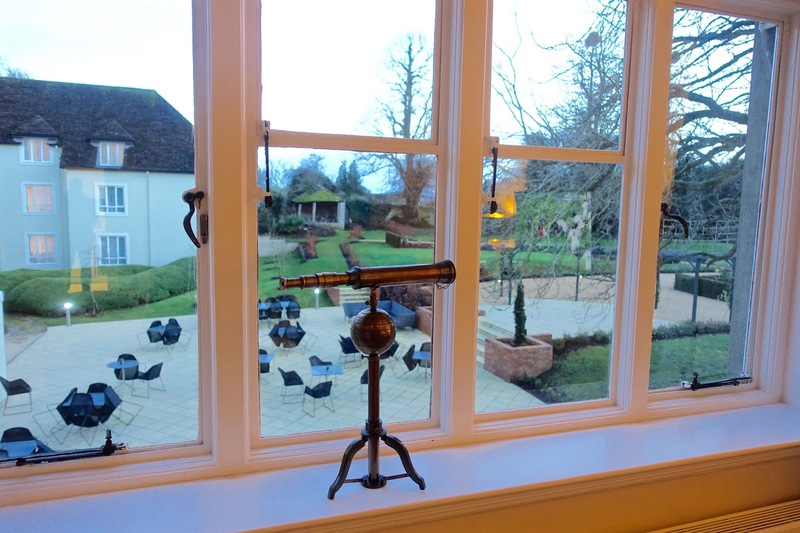 The hotel has an enviable central location with easy access from the M4 and M40 and is the perfect base to stay for exploring the nearby countryside. 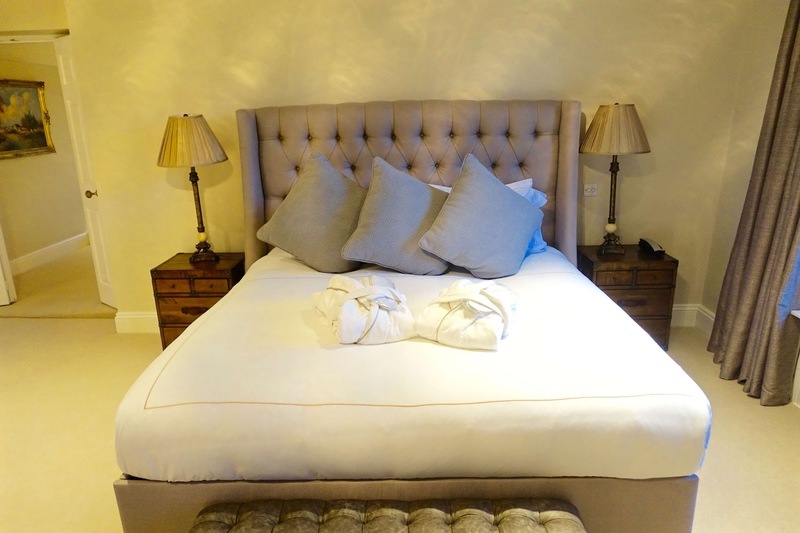 Our visit was timely as the hotel recently underwent a complete refurbishment and renovation in 2015. 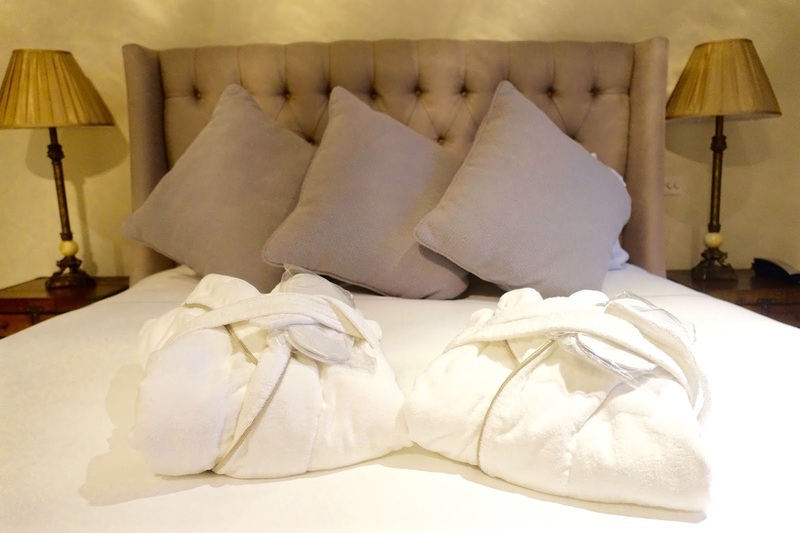 The hotel boasts a large floor plan with 50 ensuite bedrooms, including two luxurious suites and plenty of car parking space for all visitors! On arrival, we made our way to the car park to the main entrance of the hotel. The lobby area is very spacious and airy, with high white ceilings and a light-filled atrium. 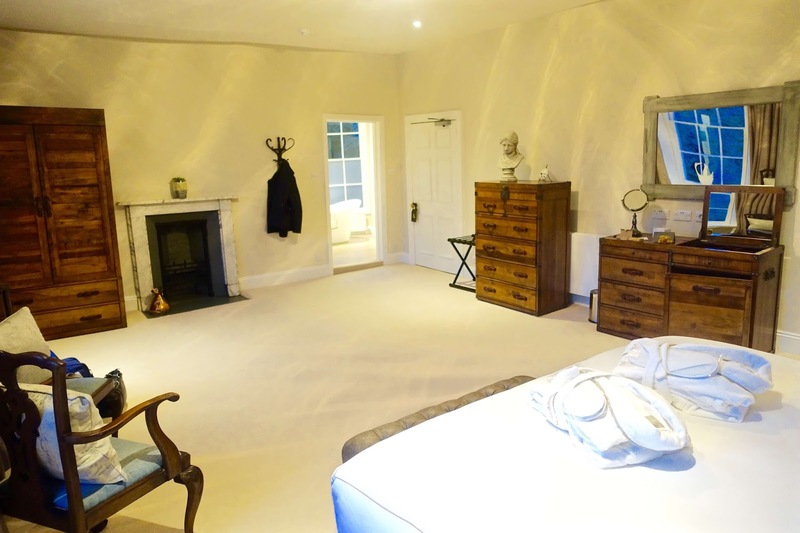 We didn't realise that the hotel is made up of both a contemporary main unit, as well as the characterful old house which is connected via a corridor. As we were staying in the newly appointed "Suite 57" aptly located above Restaurant 56 we were asked to make our way over to the old house to be checked into our deluxe suite. There is also a huge garden and outdoor seating area, ideal for alfresco dining in the summer, at the rear of the property which we noticed while making our way through from main to the old building. 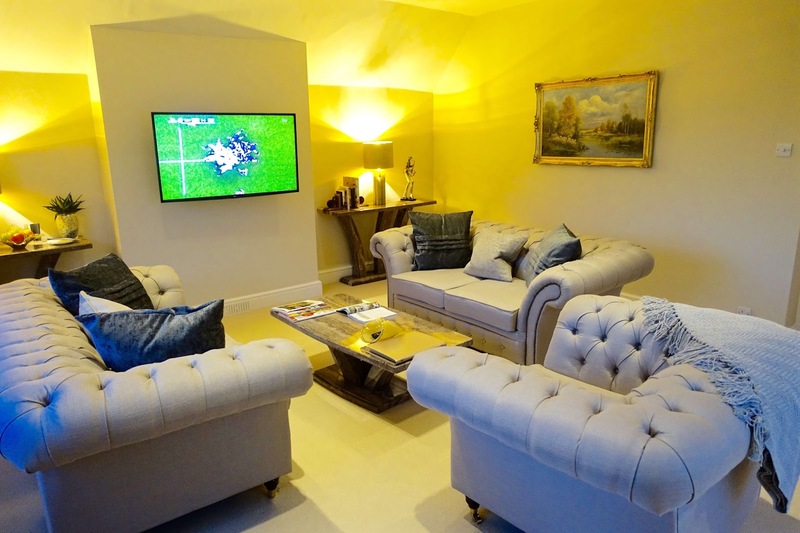 In the old section of the house, above Restaurant 56 is the hotel's newest addition to their luxury accommodation offering, Suite 57. Suite 57 is a new Deluxe suite situated in the Grade II Restaurant 56, boasting peaceful views across the landscaped gardens. On arrival into the old house, we were warmly greeted by a staff member from Restaurant 56 who swiftly led us up a flight of stairs to the suite entrance. All three of us shimmied inside, as soon as we entered I had to hold myself from gasping at just how HUGE and luxurious the suite was. It was like walking into our own apartment - the suite had three separate rooms! 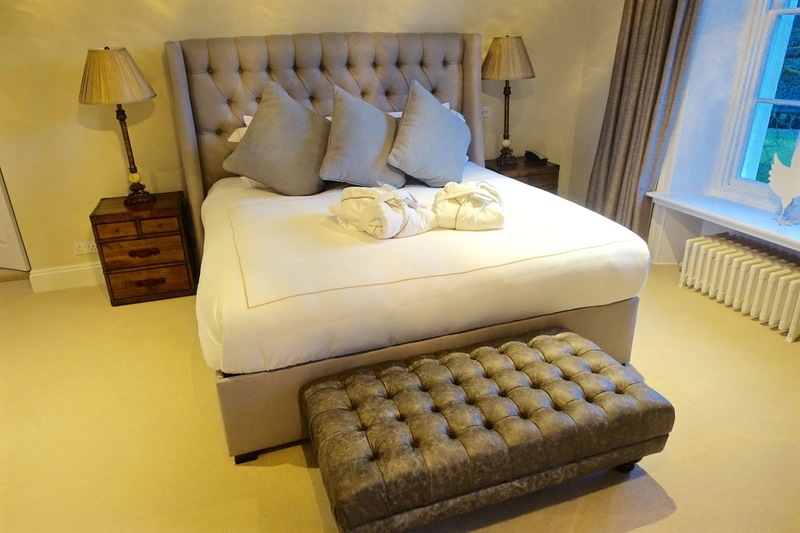 Firstly, there was a spacious double bedroom with king-size bed, floor to ceiling windows overlooking the private, landscaped gardens, with plenty of floor space, cupboards and drawers all around. 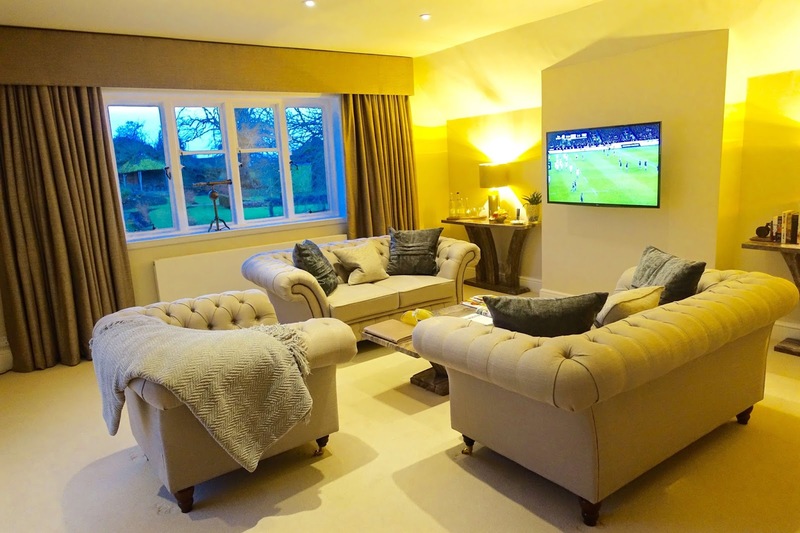 Following through from the bedroom was a separate lounge area complete with three sofas and a flat-screen TV - the ideal chill-out room or family living area! 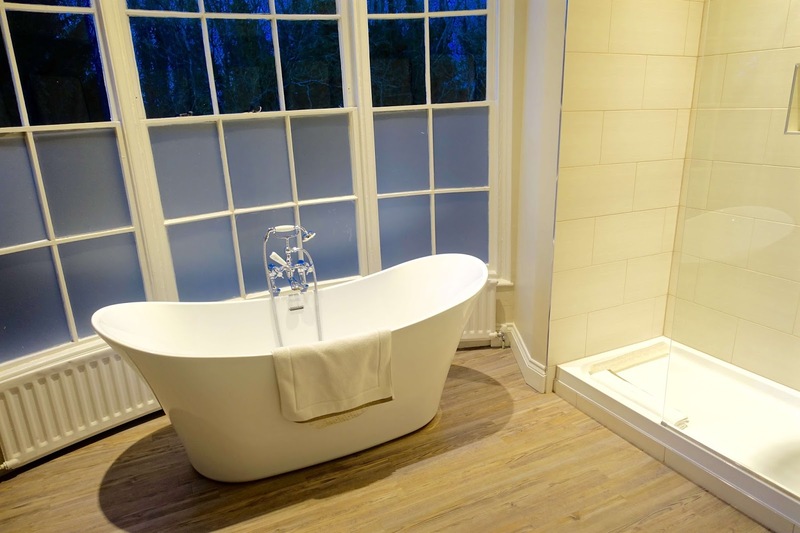 On the other side of the bedroom, there's a huge well-appointed bathroom which features a stand-alone bath and monsoon shower all doused in white-washed walls. 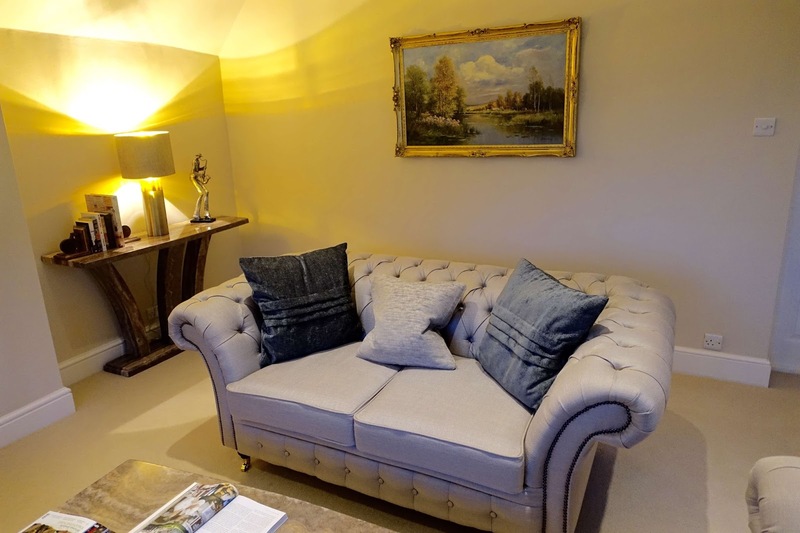 As you'll have seen from the photos above, the suite was extremely lavish with all the right decorative touches - the warm honey lighting throughout made the suite feel cosy and warm; a home away from home (although a much more elegant and lavish one!). We had a lovely time relaxing for a couple of hours before dinner downstairs, it helped that we were able to help ourselves to our own mini-bar, housed in a beautiful SMEG fridge, with a large selection of alcoholic and soft drinks to choose from. I thought I would pay homage to the nearby scenic Cotswolds with a locally brewed cider. If dining at Sudbury House Hotel then you have a choice of two restaurants, either the Magnolia Brassiere, a relaxed and informal dining space with a feature open kitchen and wood burning stove in the main hotel (this is also where breakfast is served in the morning), or alternatively, there's Restaurant 56, a unique fine dining restaurant which is situated in the Grade II listed building serving elegant a la carte and extensive tasting menus (five, eight or 10 courses) with optional matching wine flights. 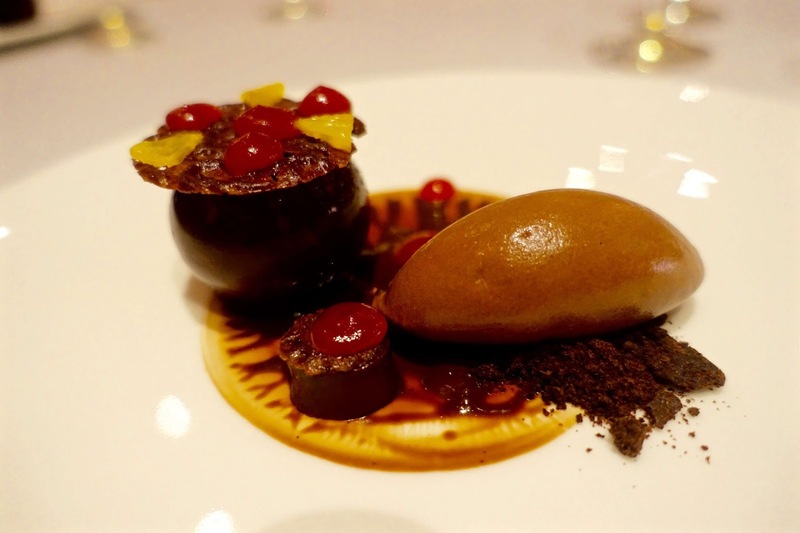 Restaurant 56 holds an impressive reputation with three AA Rosettes and was also named Oxfordshire's best gastronomic restaurant. 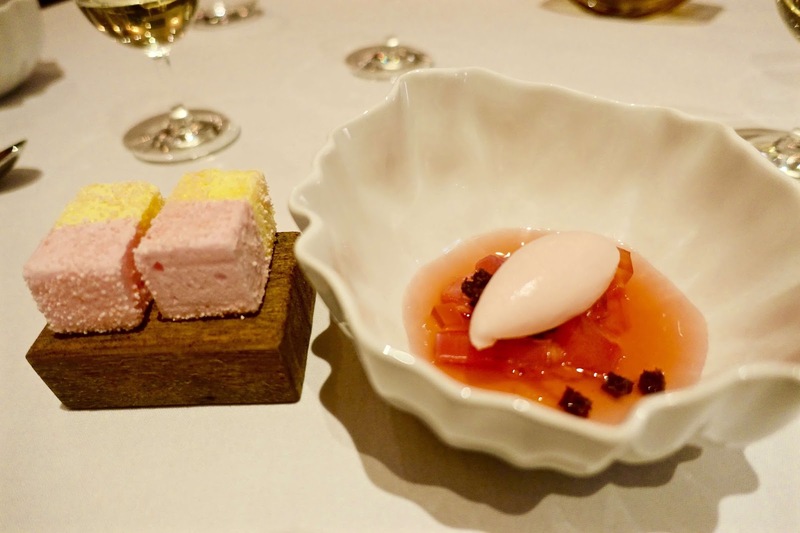 On this occasion, we were booked in to sample the eight-course tasting menu with a matching wine flight. Neither of us has tried a menu with matching wine pairings before so we really excited to sample delicious food with delicious wines that would best compliment our food choices. 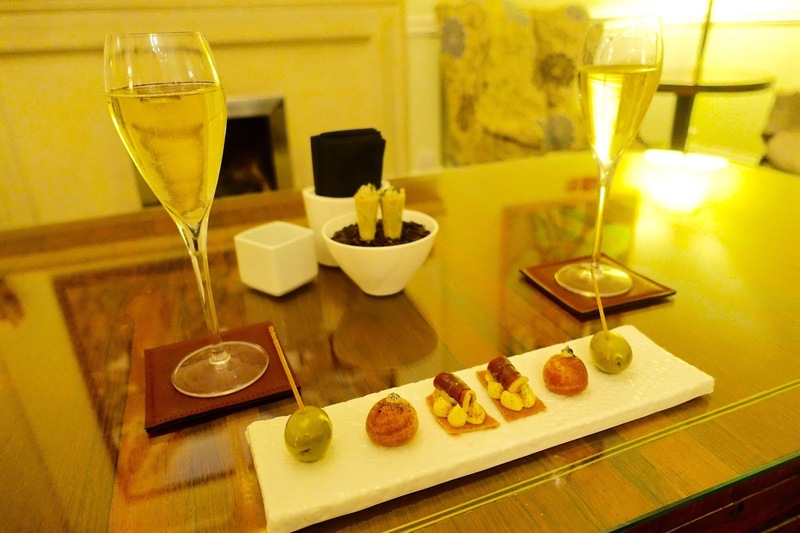 We were quickly greeted and were informed that aperitifs and canapés were to be served to us in the adjoining lounge before being seated for our tasting menu, which was a lovely touch and provided us with an initial taste of the delicious food ahead of us! We were also treated to a complimentary glass of champagne to accompany our canapés. Dinner was absolutely spot on. Our waiter's wine knowledge was impeccable and he spent a good few minutes before presenting each wine informing us of its origin and why they had chosen to pair with each dish. The tasting menu was an indulgent affair - I tried lobster bisque for the first time, lusciously rich and creamy. 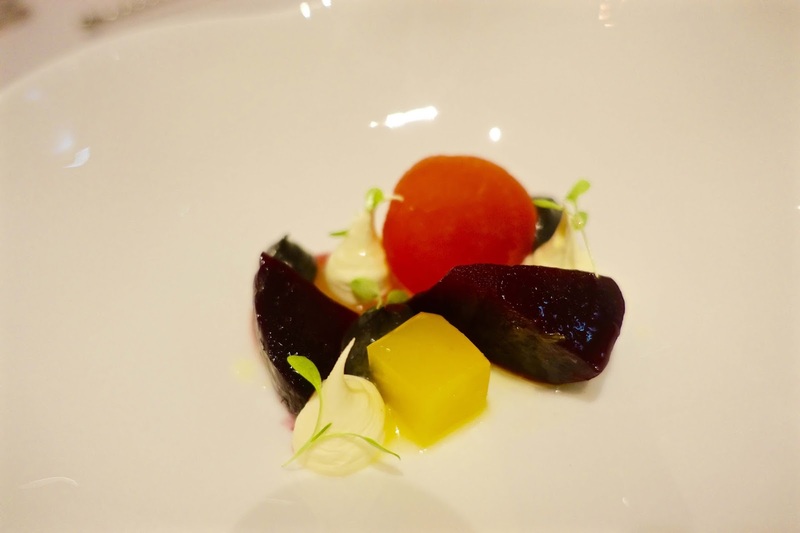 Beetroot served three ways - super light and refreshing but oozing flavour too! 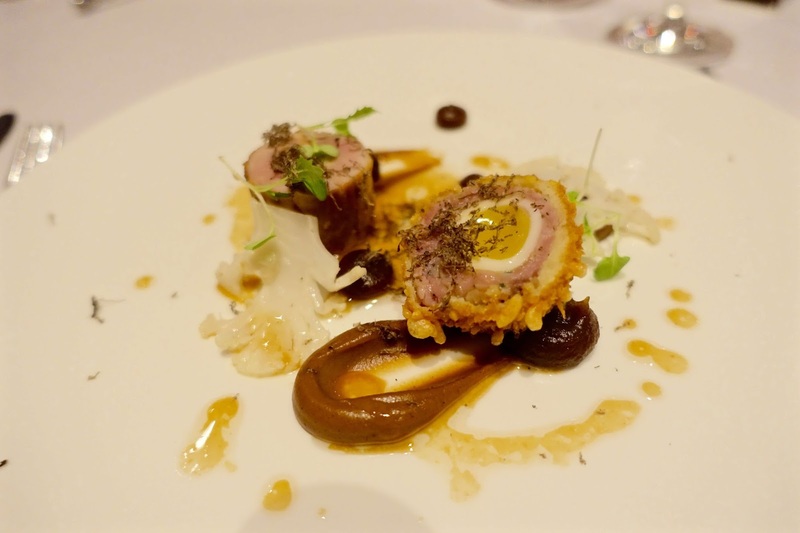 Quail - one of my favourite meats, this was served both as a crispy scotch egg with the oozy middle, topped with grated truffle which was a combination to die for! 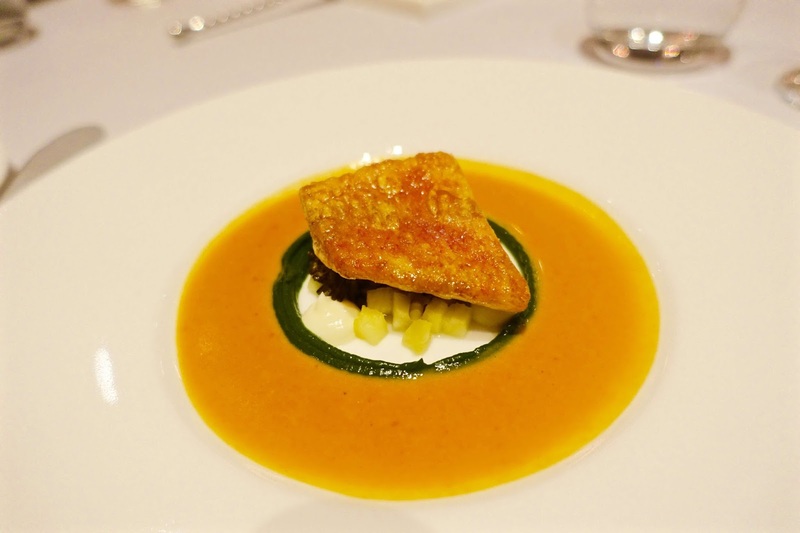 Red mullet with lobster bisque - as I mentioned above, rich and creamy in perfect quantities! 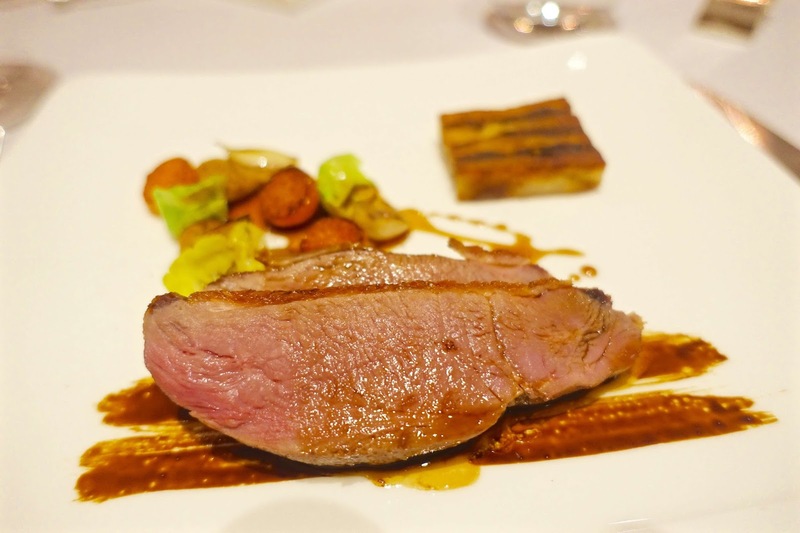 Pan fried duck - need I say more? Soft and served the best shade of pink. 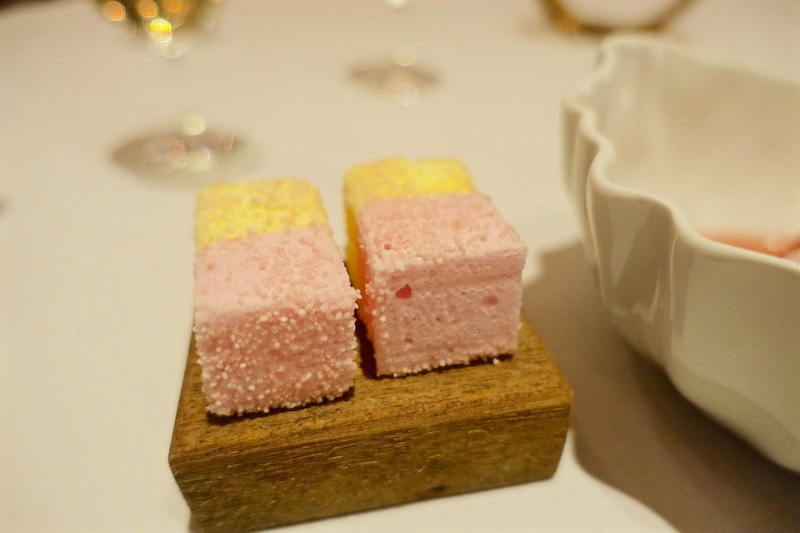 Homemade rhubarb and custard marshmallows with rhubarb sorbet and jellied rhubarb - refreshing, sweet and full of flavour. After a faultless three/four hour dinner and quick slouch in the chairs in the adjoining lounge, we made our way to bed. There's something so satisfying about being able to just head upstairs into a luxurious hotel room after a wonderful dinner - no designated drivers in site! After a wonderful sleep in our ridiculously large and sumptuous bed, we were excited about breakfast. Who would have thought that eight courses the previous evening wouldn't have been enough!? 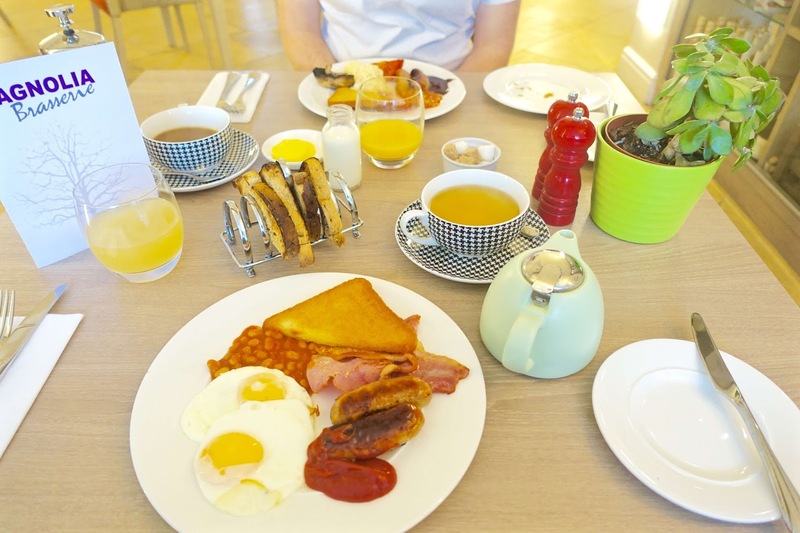 Breakfast was served in Magnolia Brasserie in the main hotel, an open-plan informal restaurant which has a large selection of buffet and a la carte items you can order directly from the menu. 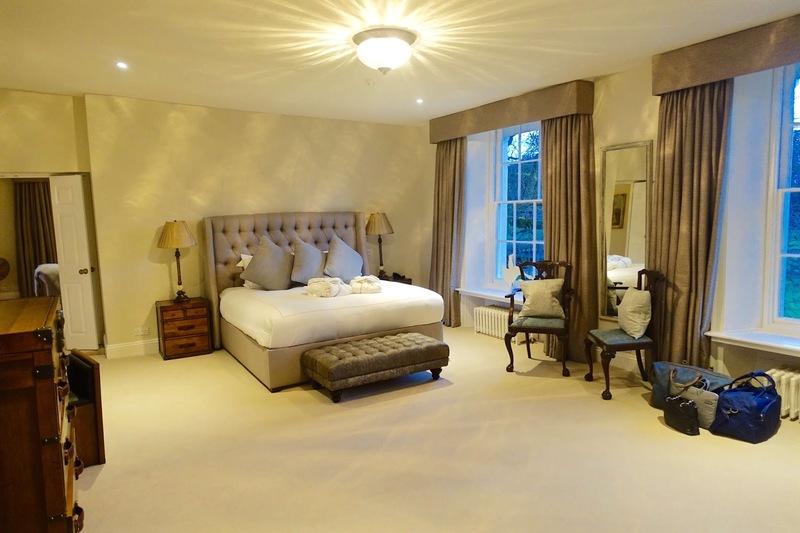 We had the loveliest stay at Sudbury House Hotel and were treated extremely well by all staff - we would not hesitate to stay again or recommend to family and friends when visiting the local area. If you too want to feel like celebrities for the night, why not treat yourselves to a Thursday Night Prime Booster with an 8-course dinner in Restaurant 56 (£70 per person) and an overnight stay in Suite 57 (£85 per person) - now that's affordable luxury! Well this hotel looks incredible! And the food looks to die for. I've not treated myself to a decent staycation in quite some time, this looks perfect!